I remember the first time I was introduced to a visually impaired student at my school. He was my senior, and I got the opportunity to scribe his Boards exam in 2010. Though he was only partially blind, taking the exam was not easy for him. 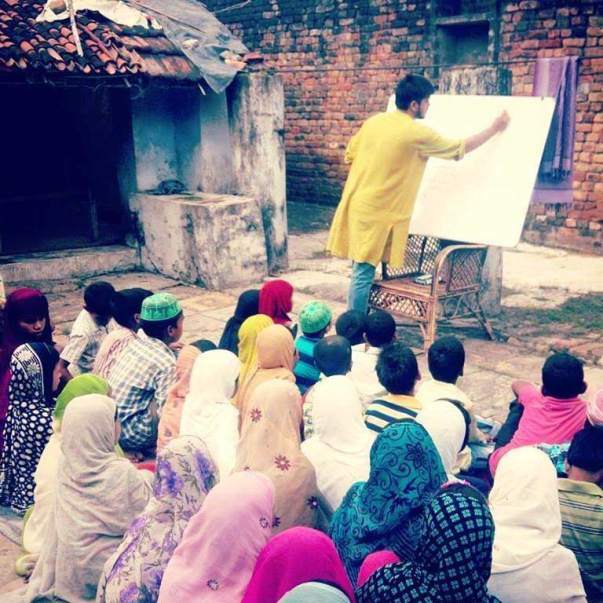 I started to frequently scribe for visually impaired students and later I started teaching them too. This is how visually impaired people became part of my life. Do you know what scribing is? Scribing is an accommodation for students who have difficulty with writing, or whose writing speed is affected, whether due to blindness, low vision, or cerebral palsy with locomotor impairment. The role of a scribe is to read questions for the student and write the answer student dictates. In 2012, when I joined college, the volunteering continued and so did my passion for helping people. 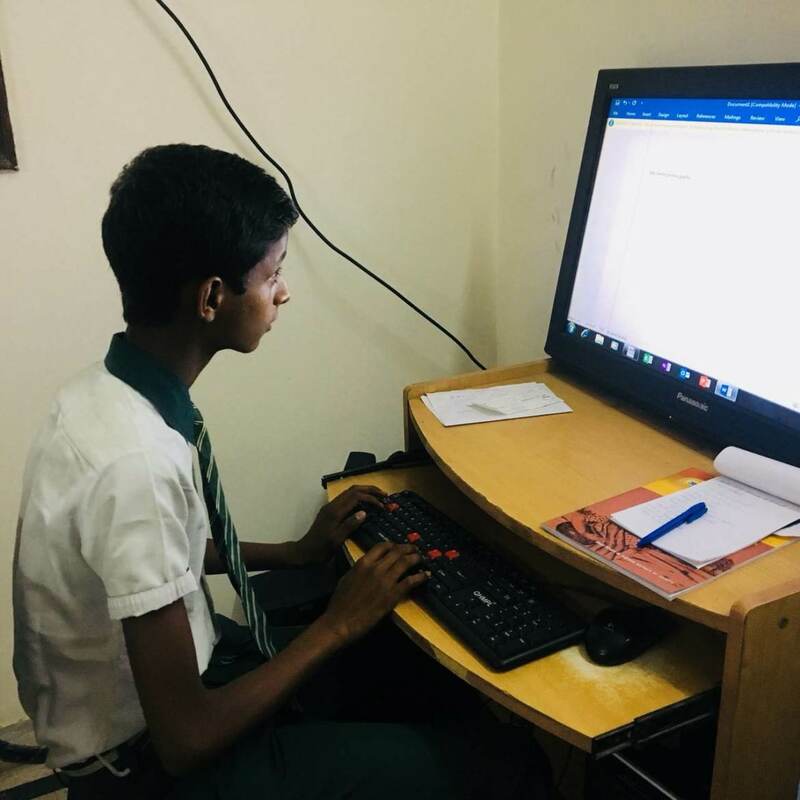 I realized the idea of starting a Non-Profit organization to solve the hardships and hassles faced by visually impaired students in finding scribes. There were many situations in which students had to leave exams because of unavailability of scribes. Imagine a situation in which you are asked to write an exam without using your hands. Would you be able to write? Not at all. This is how people with visual impairment feel. Their mind wants to write, but their hands cannot perform the action. Suresh sir, a professor at DCAC who cracked the civil services prelims exam twice, couldn’t complete his bank PO exam because his scribe was not able to read the questions. Students have called me many times crying from the examination center, “bhaiya mera scribe nahi aya“. (My scribe backed out). This is saddening and unfair because no one has the right to spoil and play with anyone’s future. A few months back, a girl from the blind school called me repeatedly for a week to arrange a scribe. Unfortunately, her scribe was not confirmed until the night before her exam at 11:30 pm. I could feel her worry and pressure; it made me sad and kept me awake all night. For most of us, the syllabus and revision worry us before the exam, not the thought of being not able to write. Picture yourself in her situation and you can feel her suffering. India is now home to the world's largest number of blind people. 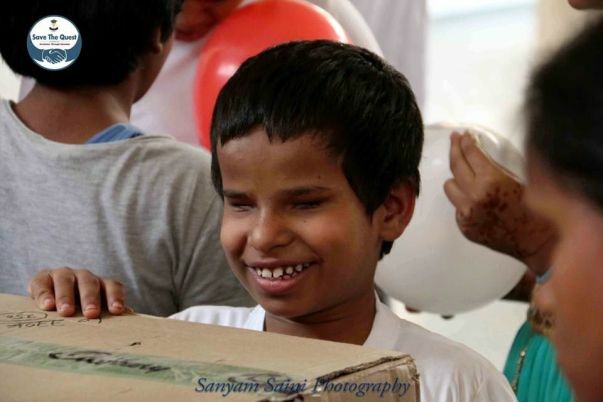 Of the 37 million people across the globe who are blind, over 15 million are from India. 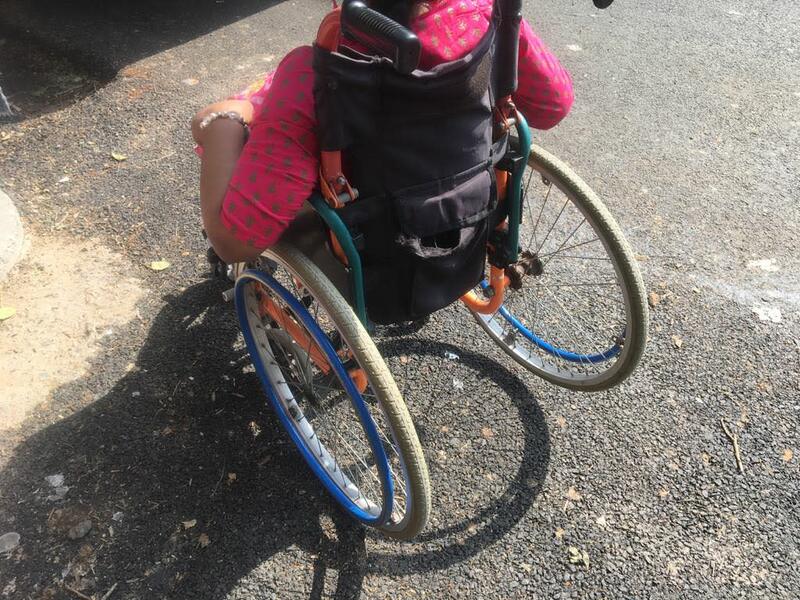 According to the 2011 Census figures, the population of disabled people in India has gone up to 2.68 crores. This makes up 2.23 percent of the population. They are as efficient as we are--even more than us in many aspects. We talk about equal opportunity and bringing persons with disabilities into the mainstream, but I don’t think it is possible without assisting and empowering all students. 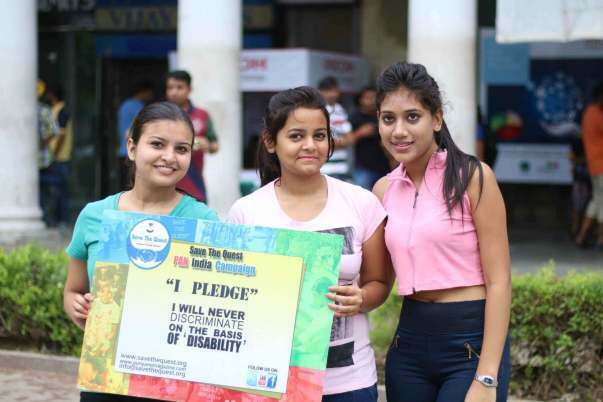 A society without any physical and social barriers would do justice to people with disabilities. 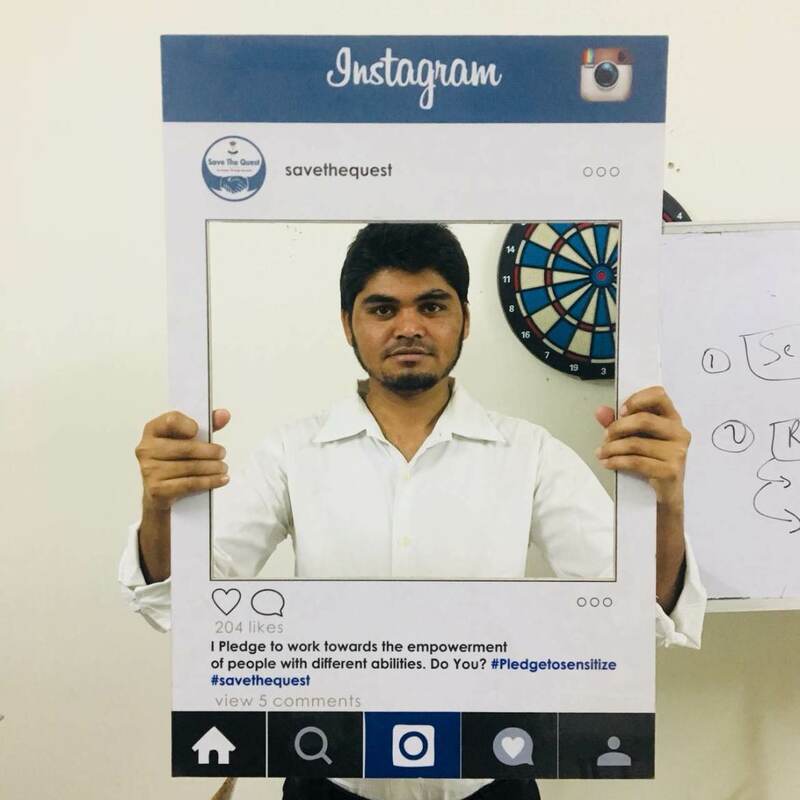 Through our organization “Save the Quest” under Project Eye-Quest, we have been trying to make quality scribes available and accessible to assist students who are blind/low vision or affected by cerebral palsy with locomotor impairment for the last four years. The project assists and empowers the visually impaired students and sensitizes the youth towards the challenges faced by them. 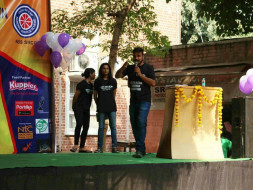 Our volunteers act as scribes and tutors for numerous visually impaired students namely in the University of Delhi, J.N.U and National Association for the Blind. They assist the students with their assignments and record their study material in audio formats. Across Delhi and NCR, more than five thousand exams have been scribed by our volunteers. 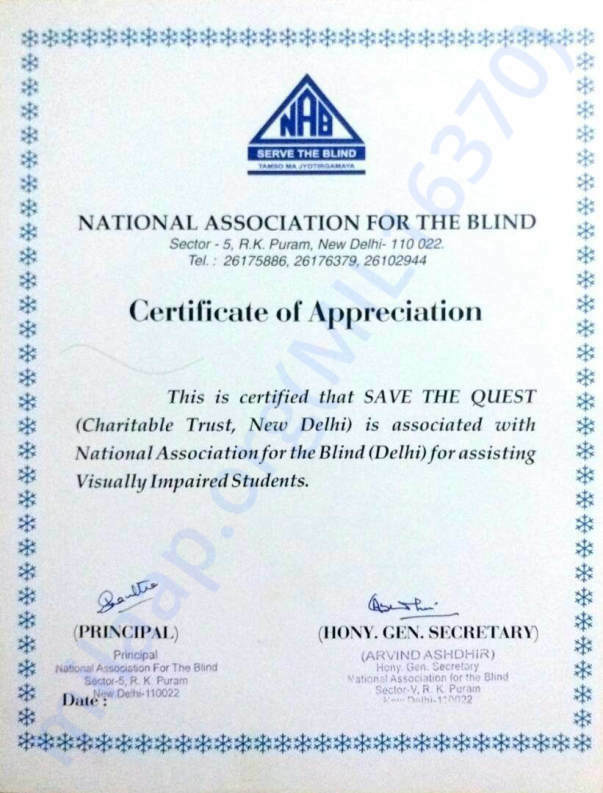 Organizations like National Association for the Blind and the international organization “On Good” have recognized and acknowledged our efforts. The Hindu and Tehelka along with a few other newspapers have covered our story. We are trying to make quality scribes available and accessible. Finding a scribe should be hassle-free; we are developing a scribe bank along with a communication system to connect scribes to students. 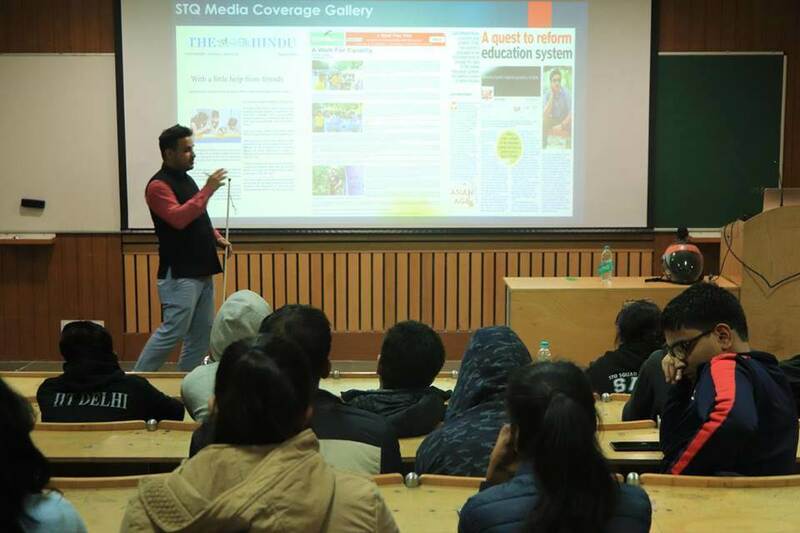 Our idea is to develop a Mobile App, Website and helpline number to connect scribes and students. Anyone who needs a scribe or wants to scribe can register on our website, download our app, or connect with us through the helpline number. After the request is generated, it is forwarded to our scribe bank database based on the location. Once the scribe accepts the request, his or her details would be forwarded to the student. The student and scribe may meet for the pretest. After every exam, the scribe will be rated by the student based on his or her writing speed, punctuality, reading, and listening power. This would help us in examining the quality of scribe, and students can also look at the profile of the scribe before the exam. Though it’s an online platform, anyone from anywhere can register as a scribe or request one. This will solve the problem of scribes in India and other countries. It would be dreams come true for me if we manage to build this online platform, but I cannot do it without you all. Please help us in solving this problem by contributing to the cause and registering as a scribe. The money contributed will be solely used for the development of the project. We need money for the website, mobile app, toll-free number and admin cost. We need a team for this, so if you are interested in being part of the team please contact us. To be part of the scribe Bank please click on the link below and register. We seek to make a large database of scribe bank, several events, conferences, and orientation would be organized to motivate and register volunteer to scribe. Schools and universities in Delhi and NCR would be covered in the first phase. Mumbai and Hyderabad would be covered in the next phase. The expenses would cover travel, food, stationary and stay. Two staff would be appointed to run the project. First, Scribe manager: who would attend scribe request generated. He/she would coordinate with students and scribes. Second, Project Manager: The role of the project manager would be to look after operation and expansion of the project. Though it’s a vast project, a team of unpaid interns would be assisting our staff in the project activities. I am a simple 24-year-old boy who has always seen an opportunityto help where others might see a problem. I have always been drawn to helppeople with disabilities I have organized numerous sensitization drives forvisually impaired children, events for spreading awareness for the lack ofaccessibility for the physically handicapped, teaching students fromeconomically weak backgrounds, doing research work and surveys about theeducation system in India, teaching in orphanages and in blind schools. 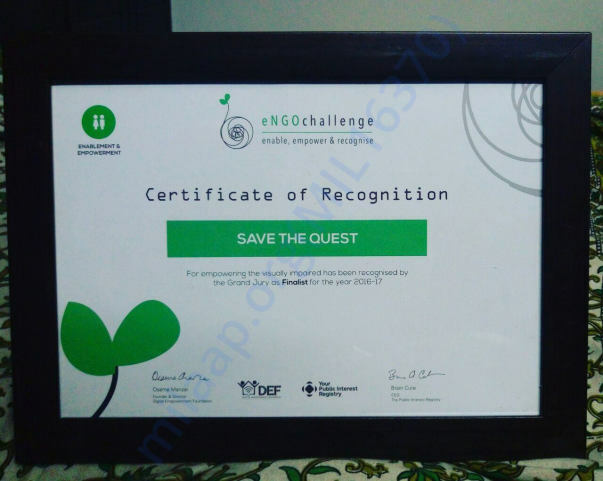 Ifounded an NGO – Save The Quest, 4 years ago, when I was in 2nd year of collegein Delhi university. We have always been an unpretentious organization which isprimarily youth-led. Thank you for supporting our cause. We are very glad to inform you that with your utmost compassion and blessings, our volunteer bank has seen an increase of around 10% in the last six months. Institutions like IIT Delhi have come on board with us officially as volunteer partner. Lately, we have successfully scribed more than 1000 exams on school, university, and state level. We are also sponsoring the education of blind kids living at an orphanage. 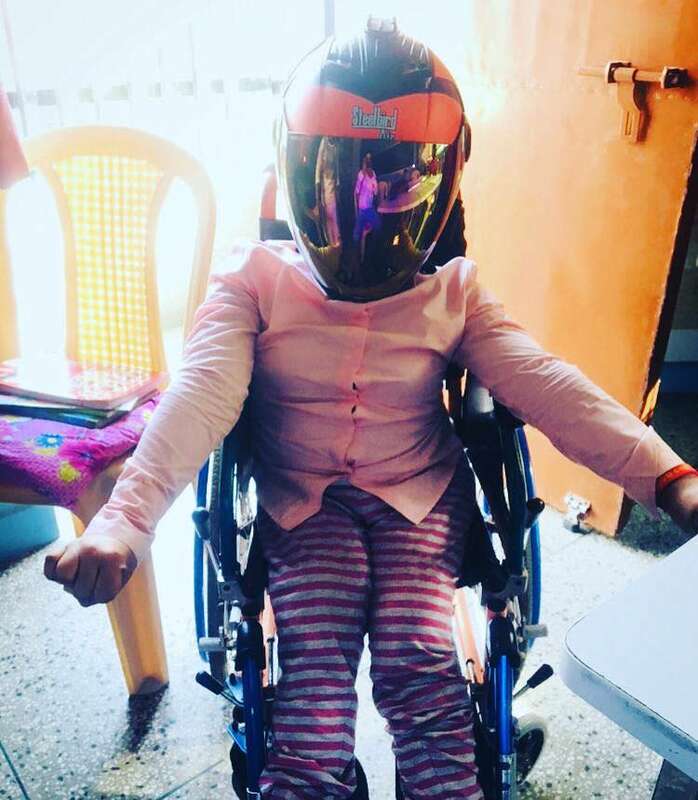 Few of the kids have multiple disabilities so we are giving them vocational training, those who are educable the are being given formal education. All the kids are showing great progress. We have been recording books, teaching to visually impaired, scribing exams, arranging scribes and providing with all the general assistance needed. As we believe in creating new platforms to reach out people in need, we have taken up a new initiative recently. I went on a bike ride to Patiala blind school and gifted talking watch to the visually impaired children residing there. our Developers are still working on the website, we hope to get it completely in live mode very soon. What is a talking watch and how gifting it will be benefiting visually impaired? Talking watch is a digital watch which tells the time when a large button is pressed. Scheduling your days according to the time is the most basic part of the routine that we humans have been doing since ages. We all wish to reach on time to the office, school, to meet a friend. What about visually impaired? Don’t they deserve the right to access such a basic thing? They do! If you wish to donate. This year we have registered more scribes we launched the pilot website. 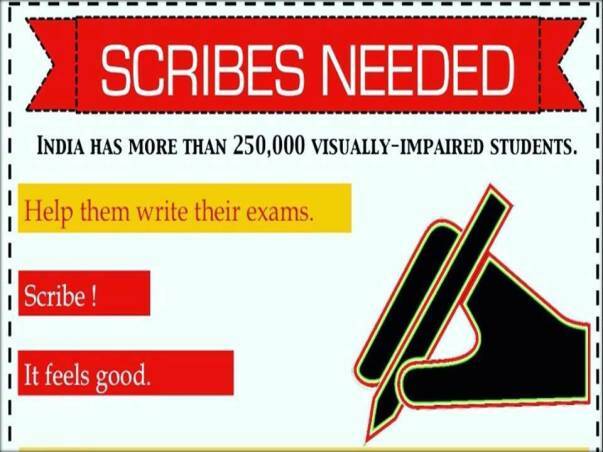 Our volunteers will be scribing exam of visually impaired students studying in Delhi University. We are also sponsoring the education of orphan blind girls. The girls are doing pretty well. We need more funds to sustain and expand our projects. I have a beautiful story to share with you all. 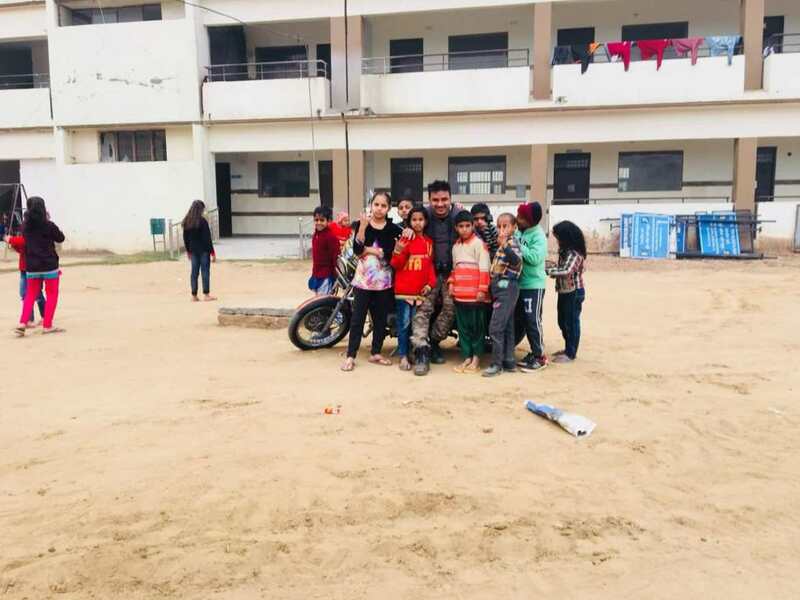 I am glad to share with you all that we are successfully running our resource center for the visually impaired and underprivileged kids in Cr park Delhi. We have registered many new volunteers and beneficiaries. Recently we organized a movie trip for orphanage kids. At the orphanage, we look after the education of kids with multiple disabilities. especially kids who quit school because of their disability. We have hired a special educator to teach 7 visually impaired girls living at the orphanage. Glimpses Of the Movie Trip.